What is meant by "amplification"..? The term "amplification" is used regularly in the hunt for cold thread. Could someone please explain what it means..? What is being amplified and how? Here's an example: "The 6z gfs starts less amplified than the 0z but somehow manages to amplify more than the earlier run by 120 hours." Hi Ian. Amplification in this forum is used to descibe the height of the waves ( mainly large scale planetary waves that flow around the hemispheres). 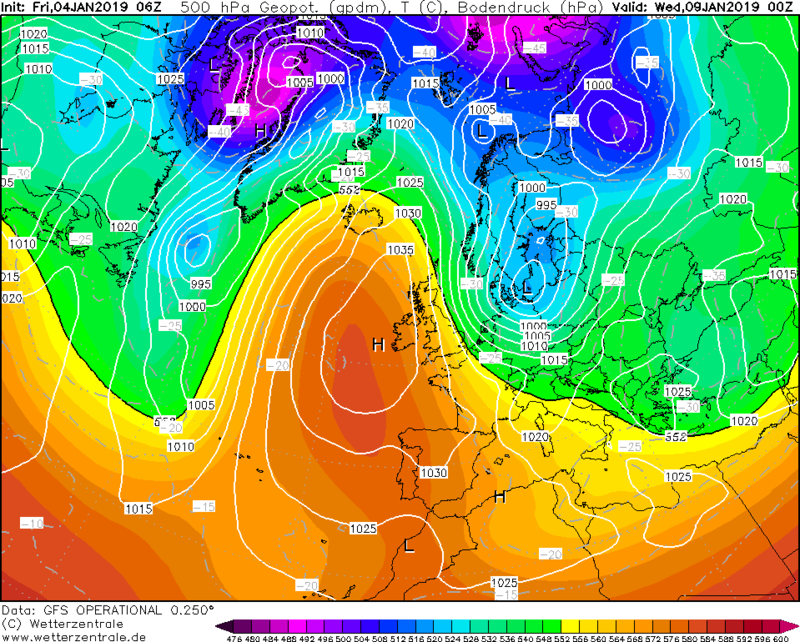 A more amplified flow would show an increased height in the planetary wave - also a more meridional flow where the air masses are travelling mainly north and south. The example below is from the latest GFS run and shows and shows distinct waves. Generally the greater the amplification, the more chance we have of seeing Arctic air reaching the mid latitudes including the UK. Thank you - most appreciated. Meridional and zonal flows are concepts with which I am familiar. Your explanation is helping me fill a few gaps. So “height” (in this context) refers to south-north distance on the map, as opposed to height above the earth’s surface? Funnily enough I privately asked Karyo to explain this to me earlier, which he kindly did. I've been here many years and avidly read the model threads, but sadly there's so much I still don't know/understand. I've read through 'learners' areas too. Just to avoid confusion, you'll notice in the chart title something called geopotential height (gpdm) which is measured in tens of metres (decametres). That *is* referring to height above the surface, and when people talk about "heights" in the model thread that is what they are referring to. Look at the deepest orangey-red colour in the Atlantic ridge. That corresponds to a geopotential height of between 584 and 588 decametres. What that means is at that location that you'd have to travel 5840 metres vertically upwards before the pressure dropped to 500hPa. Now look at the deep blues in the trough over the Baltic Sea. That corresponds to a geopotential height of 510 decametres or so. 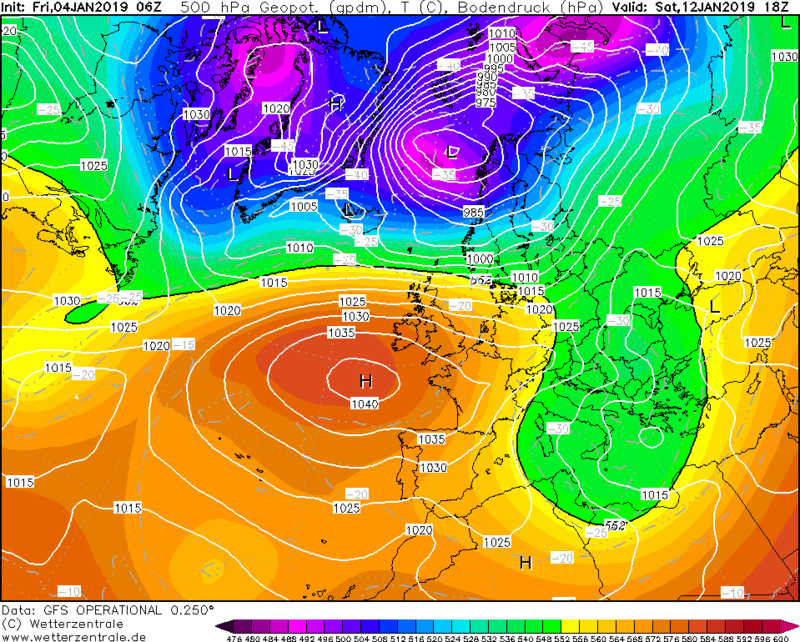 In other words you would only have to travel 5100 metres upwards before the pressure dropped to 500 hPa. Now, if you then continued vertically upwards from 5100 then the pressure would drop even further. In other words, what the colours show on these charts is the relative pressure pattern aloft. The white lines show the pressure at sea level. Both are useful, but the geopotential heights are not complicated by the orography of the surface (mountains, etc) so in some sense give a "cleaner" view of what's happening. Presumably, the take home idea here is that areas of heigher heights at 500hPa are roughly associated with a warmer airmass to the south of the Jet, and therefore often suggest anticyclonic conditions, wheras low heights suggest a cooler airmass and possible low pressure systems maturing into the base of the longwave trough?